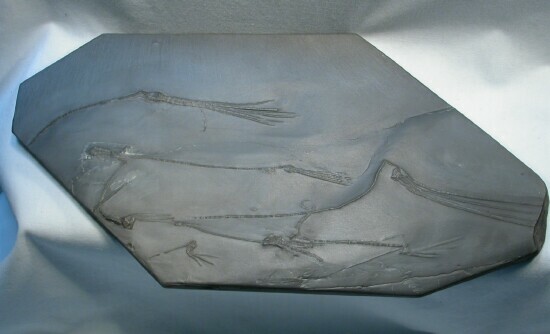 This is an example of the finest of fossils from the Hunstruck Slate near Bundenbach, Germany. 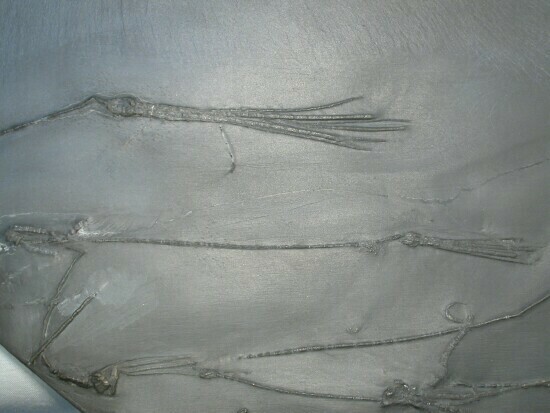 The assemblage has eight complete and partial Disparid crinoids known as Triacrinus. 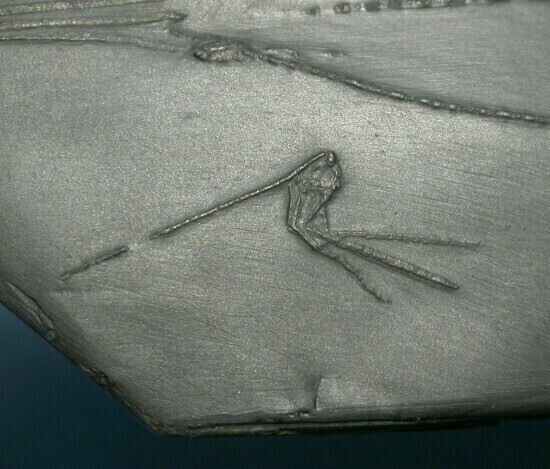 The Hunsruck slate at Bundenbach is famous for its fossils, many of which have pyritization present. Rapid burial and pyritization was what led to the many wonderful examples of early Devonian organisms from the region. The chemistry of the silt was such that low organic content and high levels of iron and sulfur allowed the pyrite to diffuse into the tissues rather than be deposited in the sediment. The mudstones were metamorphosed into slate during the Carboniferous. 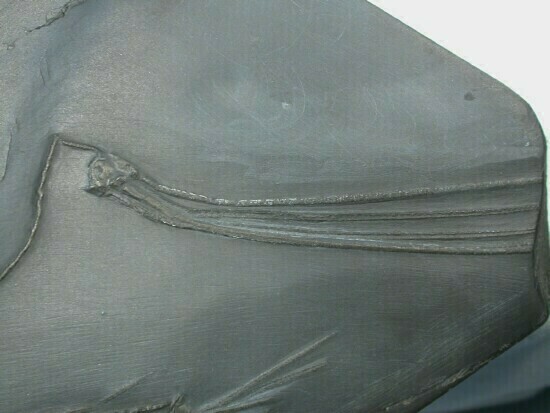 The Hunsrück slate was quarried for roofing tiles, and the workers would save the fossils for later sale. Now that the quarries are no longer open, future supplies of these wonderfully preserved benthic organisms will only come from existing collections. 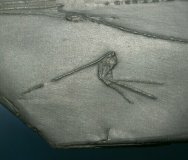 These specimens show a distinct orientation due to a current that flowed from left to right across the piece as pictured. 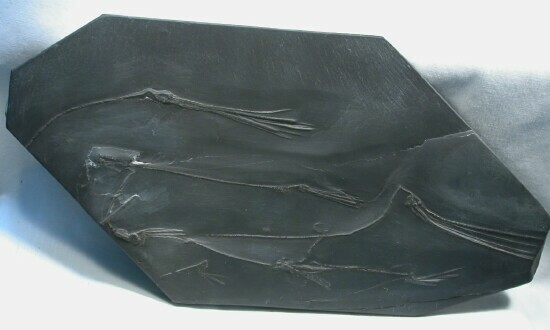 The pyritization serves as an artistic counterpoint to the rich black slate, making for a truly striking display piece. 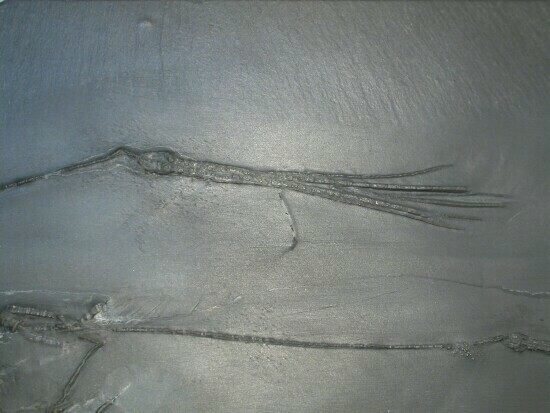 Fossils of this quality from the site are seldom seen.